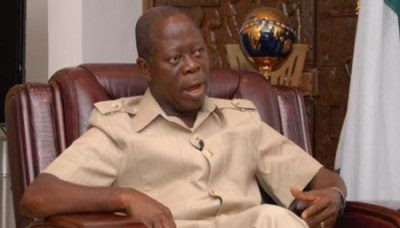 There are strong indications that the plot to remove the National Chairman of the All Progressives Congress, Adams Oshiomhole, has failed as he has secured the backing of a majority of the state chairmen of the party and other officers. Investigations by The Punch showed that except for states, such as Ogun and Imo, where the governors were not satisfied with the outcomes of the primaries conducted by the Oshiomhole-led National Working Committee, most state chairmen of the party had vowed to resist any plot to remove the national chairman. There were reports a few weeks ago that there was a plot to remove Oshiomhole because of the manner he handled the party’s primaries, which some governors, including Ibikunle Amosun (Ogun); Rochas Okorochas (Imo) and Abdulaziz Yari (Zamfara), had faulted. A member of the APC NWC, who confided in The Punch, said the former Edo State governor had not reached out to state chairmen of the party to stop the plot.